Multimillion-dollar investment builds on company’s legacy to support the growing design and service needs of today’s multifamily market. 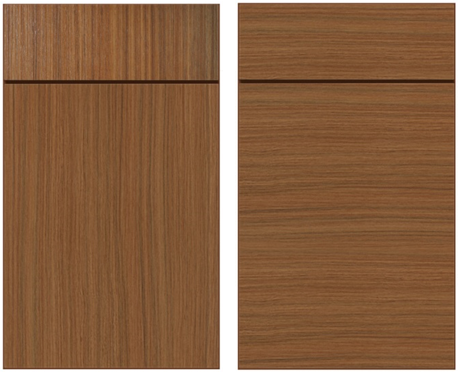 PLANO, TEXAS, April 20, 2015—Advanta Cabinets™, an acpi™ brand, expands its product line with the launch of the Studio Full Access™ frameless cabinet series, designed with two door styles and 11 different finishes for modern kitchens and baths in multifamily dwellings. Formerly sold under the Armstrong and Triangle Pacific brand names, Advanta Cabinets has been supplying the multifamily market for more than 50 years and continually strives to meet changing customer demands. The company’s commitment to the multifamily market includes a multimillion-dollar investment to create a dedicated, state-of-the-art frameless manufacturing facility in Thompsontown, PA.
Customers are encouraged to see the new frameless cabinet line and manufacturing processes in person. There is an open invitation to visit the Thompsontown factory any time. Advanta Studio Full Access Frameless Cabinet Series Now Available: The Studio Full Access cabinet series is a true model of modern design. The sleek, flexible look has become a staple in contemporary multifamily homes. The Uptown door style features vertical graining and texture while the Crosstown door style features horizontal graining and texture. 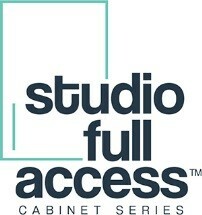 For more information about Studio Full Access cabinets, including requests for quotes, please visit: http://www.advantacabinets.com/studiofullaccess. ACPI manufactures and distributes kitchen and bath cabinets throughout the United States under the Echelon Cabinetry and Advanta Cabinets brand names. Echelon was developed for home builders, dealers and remodelers; Advanta, for the multifamily and commercial markets. Headquartered in The Colony, TX, with manufacturing operations in Thompsontown, PA, acpi offers a wide array of high quality product styles and configurations in a variety of wood species and constructions, including alder, cherry, maple, oak, birch, plantation hardwood, laminate and thermofoil.